I love using my twitter feed for inspiration for blog posts, and this week I have heard a lot about the new real techniques brush. Turns out all that glitters isn’t gold, as not many of us are willing to fork out £25 for a ‘gold’ brush that will tarnish. Still, I’m yet to see a review so it may be worth every penny! 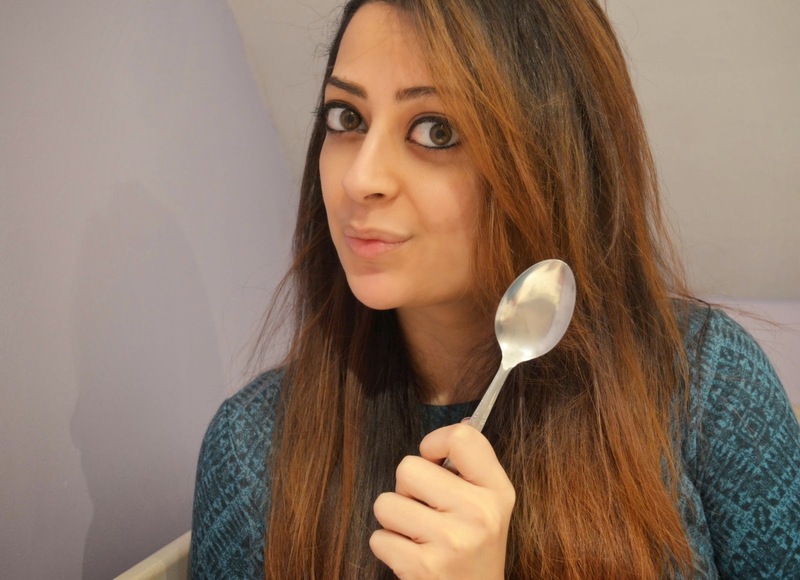 In the meantime I’m going to tell you all about a multi-purpose makeup tool that isn’t available in your local high street stores but instead in every single home – a spoon! Here are 10 beauty hacks you can do using a Spoon. 1. Cat Eye – If you struggle to do a winged eyeliner, I may have just found your new best friend. You can use the curved end of a spoon to give you a great flick or even use the other end to draw a straight winged line. 2. Contouring – There seems to be endless guides on how to contour your face, and if you’re anything like me, you end up blending your bronzer all over your face. And I’m talking from experience here when I say, brown blotches all over your cheeks are not a good look! By using a spoon you can now cover up the apples of your cheeks which you need to highlight and use the handle of the spoon to guide your makeup brush whilst you contour. Don’t forget to blend, blend & blend some more! 3. 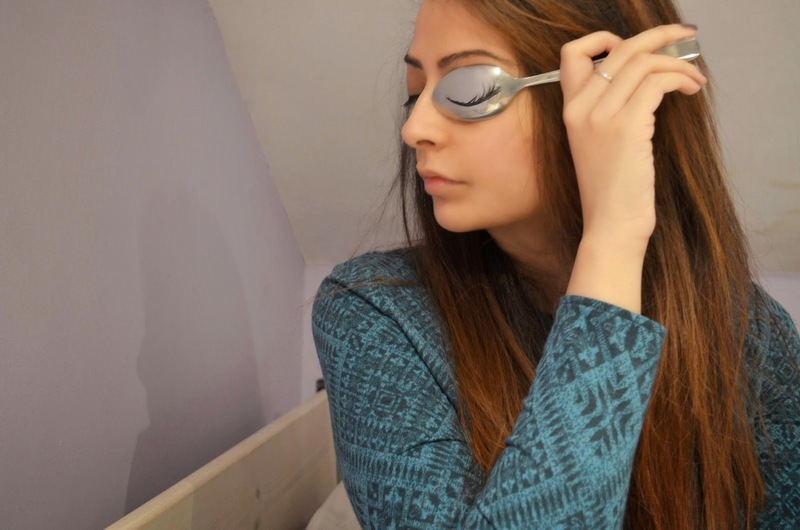 Makeup Shield – Use a spoon to stop getting mascara all around your eyes when applying it. Hold a spoon underneath your lower lashes to efficiently coat them with mascara, without the mess. Alternatively, hold it on your eyelid so any excess mascara will go on the spoon and not your eyelids. 5. Spot treatment – Use a heated (not scalding hot) spoon and gently press on to the spot untilt he spoon cools down. Use hot water to heat the spoon and not any real direct heat. This also works for itchy bug/mosquito bites! 6. Eye bags – Woke up with some serious luggage under your eyes? No problem, grab two spoons and put them in your freezer for about half an hour. Once they’re really cold, glide them underneath your eyes from the inner to outer corners in order to drain fluid and also reduce puffiness in a pinch. 7. Mixing palette – Instead of using the back of your hand to mix two foundation colours or concealers, use the inside of the spoon instead. This way your makeup isn’t contaminated and oils from your hand’s skin won’t get mixed into the makeup. You can also use it as a palette for nail art. 8. Eyebrow guide – You’ve be surprised at how the edge of a spoon above your eyebrows can guide you and stop you over filling them. 9. Nail varnish shield – Grab a spoon and hold the tip underneath your nails while you paint to prevent the polish from getting on the skin on the tip of your fingers.You can do this for around the sides too. It’s really handy for applying varnish on the go! Remember to keep the spoon you use for your makeup seperate from your actual cutlery! Have you ever tried any of these tips and tricks?